The MFJ-250 VersaLoad KW Wet Dummy Load lets you tune up fast! You can run 1KW CW or 2 KW PEP for 10 minutes. Or run 1/2 KW CW or 1 KW PEP for 20 minutes. Run continuous duty with 200 Watts CW or 400 Watts PEP. The dummy load comes complete with a derating curve. It uses a quality 50 Ohm non-inductive resistor. 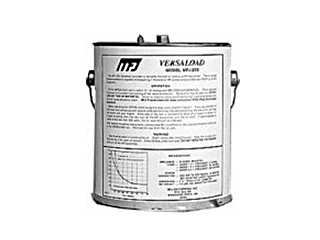 Use transformer oil with this dummy load (this is included with the MFJ-250).